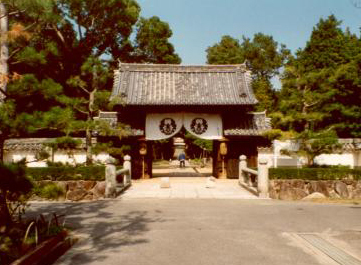 Sogen-Ji Monastery is a Rinzai Zen Buddhist temple in Okayama, Japan. The Abbot, Shodo Harada Roshi, welcomes people from all over the world who are interested in serious monastic practice. Anyone coming to Sogen-Ji is encouraged to make a commitment of at least one year; however, if you are interested in training at Sogen-Ji, please write and make arrangements for a short visit first. Usually a Kosesshin (small sesshin) followed by an Osesshin (full sesshin) is encouraged before a long-term commitment is made either by the person who wants to enter or by Sogen-Ji. Shorter-term training may be possible in exceptional cases with the special consent of the Roshi. Shodo Harada Roshi's One Drop Zendo is a worldwide Zen Buddhist community. Patience: the YouTube embeds may take time to load.